Receiving proper pregnancy care when you're expecting provides a good foundation for a healthy baby and delivery. At Health Wise Women in Hoboken, New Jersey, Mohamed Esiely, MD offers high-quality pregnancy care before, during, and after your baby arrives. For personalized obstetrics care at a family-owned practice you can trust, call Health Wise Women or schedule an appointment online today. What’s the difference between gynecology and obstetrics? While gynecology and obstetrics are related medical fields associated with women’s health care, they have very different focuses. The field of gynecology focuses on the female reproductive system. 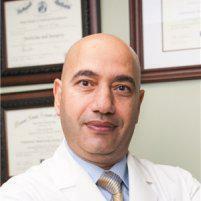 Dr. Esiely is a skilled OB/GYN who specializes in both gynecology and obstetrics. Having high-quality pregnancy care is essential for the health of both you and your baby. Dr. Esiely can track your baby’s development, monitor your health throughout your pregnancy, and help keep you on track for a healthy, full-term delivery through regular prenatal visits. Besides monitoring your health and that of your baby, Dr. Esiely also watches for risks factors that may arise while you’re pregnant. He also makes recommendations for any vaccinations or actions that should be taken to protect your health. Pregnancy care also allows you to develop a trusting relationship with Dr. Esiely. While caring for you and your baby, he guides you from the first trimester of your pregnancy through your delivery and into your postpartum care. Your first obstetrics appointment is often the most extensive. During this comprehensive visit, Dr. Esiely performs a complete physical that includes a pelvic exam and Pap smear, blood work, and STD testing. Based on your overall health and family history, he might suggest additional tests or genetic screening. Following your initial prenatal exam, Dr. Esiely schedules regular monthly visits until your pregnancy reaches 28 weeks. At that time, your appointments become more frequent, and you’re examined every two weeks until you reach 36 weeks. After 36 weeks, your appointments occur each week until your baby is born. Pregnancy care also includes checking the heartbeat of your baby and capturing images as it develops through ultrasound technology using sound waves. To learn more about the compassionate pregnancy care offered at Health Wise Women, call or schedule an appointment online with Dr. Esiely today.